← Peter Okoye’s Family Didn’t Support Wedding To Lola Omotayo, DNA Test Demanded For Children? A football agent, Henry Galliano, was on Monday evening assaulted by a Nigerian coach, Emmanuel Amuneke, at the Rockview Hotel, Owerri, the Imo State capital. The assault,which happened at about 6:00 p.m. was caused by the decision of Golden Eaglets star, Kelechi Iheanacho, to choose Galliano as his agent ahead of one recommended by Amuneke. As agent, Galliano would be responsible for arranging club transfer deals for Ihenacho, a member of the world-conquering Golden Eaglets. Iheanacho was selected by FIFA as the best player of the just-concluded FIFA U17 World Cup in the UAE. He has since been linked to top European clubs including FC Porto and Manchester City. agent also confirmed that a copy of the agreement with Iheanacho was submitted to the NFF on October 21. In a chat with PREMIUM TIMES, Galliano and his Nigerian partner, Solomon Oluwaseun, accused Amuneke of assault; and threatened to press charges against him. They said the coach invited them for a meeting before he got angry, saying that his (Amuneke’s chosen) agent must be the one to handle Iheanacho’s transfer. (International Transfer Certificate), will not release kelechi’s ITC to him and they will both make sure that he is banned from Nigeria football; also he will not get a good club. “When the agent tried to talk back, the coach slapped him and beat him up in the presence of over 25 people,” Solomon said. In his comment, Galliano said he only came to Nigeria to take Iheanacho abroad for club engagement; and he didn’t know why the coach threatened him. “He called me names, beat me up and embarrassed me, he said it’s impossible to just take his players,” Galliano said while accusing Amuneke of racial statements. Galliano, an American, said Keshi ordered Ihenacho to follow him to Abuja and also threatened him; which made the boy to burst into tears and went away. “Kelechi is nowhere to be found, he started crying after the threat made against him, the small boy is afraid and I hope he will not lose hope. “Amuneke said he will delay his ITC and deal with him, he called vulgar words, cursing the boys and the players,” he said. PREMIUM TIMES tried to speak to Iheanacho, but his phone was switched off. His father, when contacted, declined comment. Amuneke, a Nations Cup winner in 1994 with the Super Eagles,and current assistant coach of the Golden Eaglets, confirmed to PREMIUM TIMES that he assaulted the American. 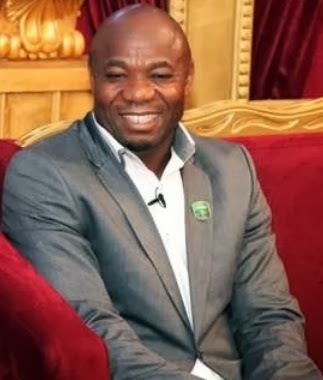 When contacted on phone, an angry Amuneke confirmed that he slapped Galliano. He threatened to beat him up again whenever he sees him. He, however, denied being involved in the player’s possible transfer. “Yes, of course I slapped him very well and I will do it again whenever I see him,” Amuneke said. “He is an , useless white man, he wants to come and reap where he didn’t sow. “Kelechi is a nobody; yes, I said we helped him into the team, made him, moulded him into what he is today, he shouldn’t allow anybody to fool him,” the former winger said. “I’m not an agent but I just look out for the boys. He wants to come and sign a player just like that, he’s an , I will not allow him. “Because the boy’s parents are poor and illiterate, he wants to use them. We are Nigerians and we’re not foolish,” he added. Despite Amuneke’s denial, the shady involvement of Nigerian coaches and football officials in the transfer of players to foreign clubs is something muted and known by close observers of Nigerian football. A football website, Goal.com, recently revealed that Super Eagles midfielder, Sunday Mba’s move to a French club, was scuttled because of the financial demands and involvement of Eagles coach, Stephen Keshi, and some officials of the NFF. Mba had been unveiled by the French club, Bastia, before he was forced to return to Nigeria. The NFF also recently suspended a former Secretary General of the Federation, Taiwo Ogunjobi, over the latter’s alleged involvement in the transfer of a Flying Eagles forward,Olanrewaju Kayode.